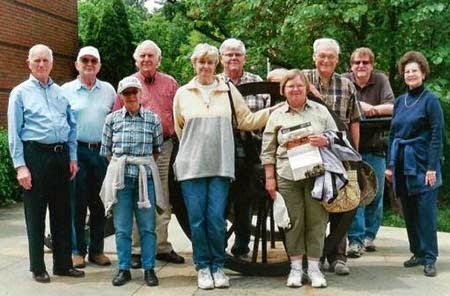 A group of 10 WNCCWRT members enjoyed a trip to Montgomery and Mobile, Alabama. In Montgomery we joined the Tennessee Valley Civil War Round Table. 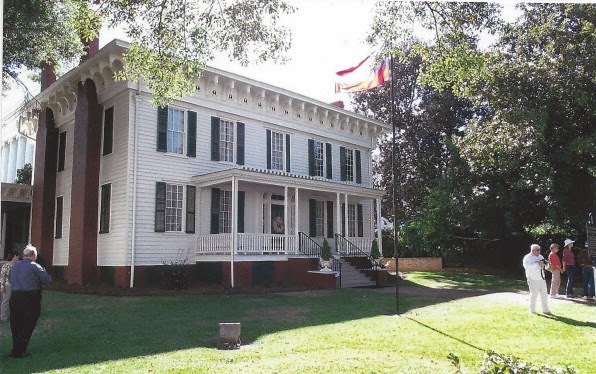 Together we saw three different historical sites including the first Confederate White House. We then went to Mobile where we stayed at the Microtel by Wyndham, a very nice facility at a great price. The next morning we took a tour by bus of Fort Morgan. 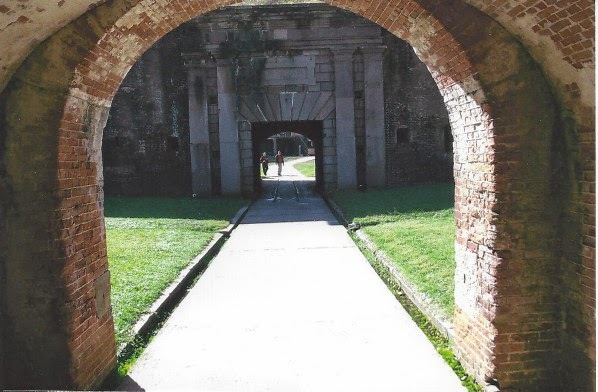 The fort saw service in the Civil War, Spanish America War, and First and Second Wars and has kept its Civil War aura and interest. 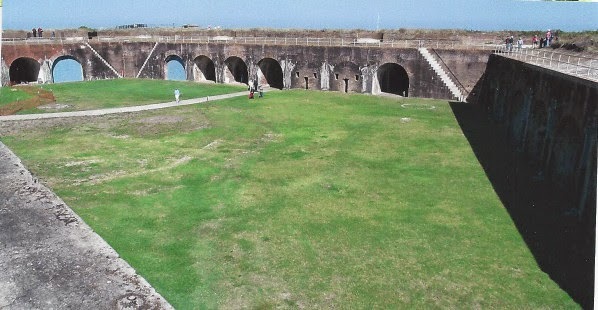 In the afternoon we visited the civil battle of Spanish Fort. We ended the day with our new friends from the TVCWRT at nice restaurant on Mobile Bay and enjoyed the meal and seeing the sunset. On Sunday we all returned to our respective homes. It was a great trip that was enjoyed by all. Richard Smith did an awesome job of making all the plans. Eleven members of the Round Table enjoyed the spring tour to Kennesaw Mountain Battlefield and Gainesville, Georgia.Arriving at the Kennesaw Visitor's Center in the early afternoon, we met with Andy Cole, our guide. There, we saw a film of the battle before visiting the grave site of Confederate General Leonidas Polk on Pine Mountain. We then traveled to the Kolb Farm, onto Cheatham Hill, the Illinois monument and Death Valley, before going up Kennesaw Mountain in the shuttle. Andy was a great tour guide, humorous and informative. 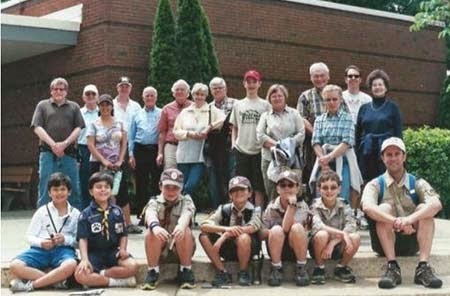 Our group was joined by the Ebert's relatives, who brought along Sandy Springs United Methodist Church Cub Scout Pack 236 Den 11 and their parents, adding to our enjoyment. The Beemers' daughter, Carolyn Fountaine, joined us for dinner on Saturday, as did Stuart Harvey and Willie Johnson, a Park Ranger. On Sunday morning, we left for Gainesville and Longstreet land. Our guide was Joe Whittaker and several members of the Longstreet Foundation. We visited Gen. Longstreet's grave, several family residences and sites, and the Piedmont Hotel, his family business for many years. We were surprised and delighted that the Piedmont, which was in such poor condition the last time we saw it, was wonderfully restored. Those members attending included the Beemers, the Eberts, The Rousers, the Smythes, Phil Haire, Richard Melvin, and Bill Baltz. Our grateful appreciation to Chuck and Nancy for a well planned Spring Tour. Resaca-Dalton Trip - Please Sign Up!